It’s an undeniable fact that living in NYC is a unique experience. Whatever borough you choose to call home, you will be part of the most dynamic and energetic environment. If you are ready to take on a challenge of moving from Long Island to Manhattan, there are several considerations to take into account before reaching out to local movers NYC. As a prospective Manhattan newbie, you will have to prepare properly for a hectic lifestyle, especially if you are coming from a calm, suburban area. As we all know, each NYC borough has its own flair and charm, but Manhattan is often referred to as ‘’the city’’ due to the central position. No wonder why so many people dream of starting a new life chapter there. NYC is famous for being a cultural melting pot and each borough has a lot of exceptional qualities to offer. But, according to many people, Manhattan somehow stands out as many millennials decide to pursue their personal and professional dreams by moving to a tiny island situated between the Hudson River and East River. Manhattan seems to attract many people so it comes as no surprise that it is the most densely populated of the five NYC boroughs. Having decided that the suburban living no longer suits you, it is time for you to weigh your moving options and choose your next residence. As a matter of fact, finding the right community where you can feel safe and comfortable is not an easy task. Especially if there are some financial setbacks in the middle. If you’ve reached a point where you need a more dynamic environment, then you should most definitely consider moving from Long Island to Manhattan as a viable option. As people from all around the world move here, you are likely to meet new cultures and explore them closely. Regardless of the season, there is always something interesting going on. Being part of the vibe of the city that never sleeps is one of a kind experience. The City has a lot to offer if you are willing to discover its gems and hidden attractions. You can always have fun, no matter what your personal interests are. If you are looking for an opportunity for personal and professional development, Manhattan could be the ideal place. As it turns out, Manhattan is home to many young professionals trying to uproot their lives and pursue their big, career dreams. If you are the kind of person that feels comfortable being part of the loud, fast-paced and busy environment, make sure to organize your transition properly. 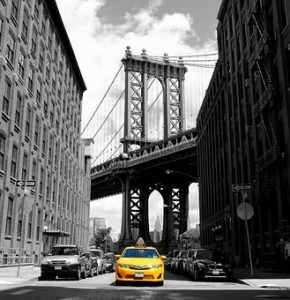 When it comes to relocating your car, you should think twice as owning a car is the second biggest expense in NYC. On the other hand, by using public transportation you will save a significant amount of money but waste more time. But, the good news is that Manhattan has a good subway connection with other NYC boroughs, which makes them easily reachable. 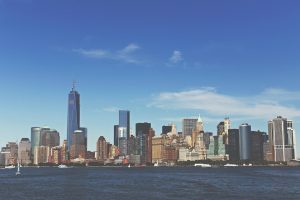 While there are many aspects of moving to Manhattan to be enthusiastic about, with a unique set of challenges ahead of you, the transition may seem rather discouraging. Here’s what you may not like when moving from Long Island to Manhattan. Due to the high cost of living and real estate prices, finding a suitable apartment can be quite an ordeal. And with a limited budget, chances are you will have access to a very poor selection of apartments. Moving from a large and cozy suburban house to a one-bedroom apartment barely large enough to fit one person is the scenario you will face as soon as you decide to move. So, when taking on this new moving challenge, it’s highly advisable to assess your financial resources. 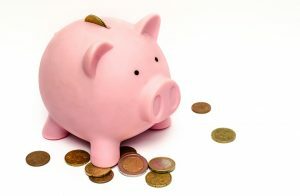 The sooner you figure out how much you can afford to spend on monthly costs, the more straight-forward your quest will be. Also, research all neighborhoods that suit your budget and personal preferences in terms of commuting, infrastructure, crime rate, local amenities, places of interest. The truth is that you will have to fit your lifetime’s worth of belongings into a small apartment. Needless to say, unless you rent a storage unit in NYC where you can keep most of your items, you will have to do some serious de-cluttering. Use the upcoming move as an excuse to purge your home and pare down your belongings. Move only the essentials so as to avoid cluttering up your new Manhattan place. Having determined your moving budget, it will be easier for you to figure out whether you can afford professional moving companies Long Island. Needless to say, they can make your relocation much smoother by reducing the stress level and taking care of the most demanding moving aspects. One may say that if you’ve already moved within NYC, this one will be an easy accomplishment. However, each move has its unique set of challenges and difficulties that can surprise even the most experienced of movers. Knowing that your belongings are in good hands is a huge relief that comes at a certain cost. In order to secure a reliable, yet affordable moving company NYC by your side start your research as early as possible. And be sure that the time you invest in the researching project will pay off eventually. A good choice of local movers NYC can make all the difference between a successful and terrible moving experience. Your best bet is to hire a company you’ve got a recommendation for. Having received several moving quotes you will be able to compare them and decide which company suits you best in terms of pricing, first impression, and convenience. As it turns out, moving from Long Island to Manhattan may bring a huge lifestyle change and surprises. But, at least with a reliable moving company by your side, unpleasant surprises will be out of the picture.